I have these two wonderful cats that we got for Lucy when she was starting to struggle and we didn't know what was going on. We thought they would help keep her calm and relaxed. For the most part, they did--or would--but her episodes just got worse and she spiraled more. What's this have to do with the cats? Why are they on my mind today, of all days? Well, these cats are super hero cats in which the only super power they have is the ability to poop and cause such a foul smell that it engulfs the ENTIRE house. And it doesn't smell like cat poop. It smells like human poop...and death. And then there's something that died inside the refrigerator. I don't know what it is. I don't want to have to go in looking for it, but I cannot stand the smell any longer. 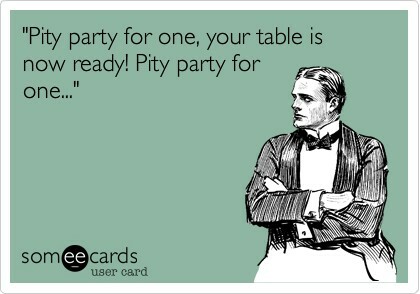 Pity party, party of one.